Comenius projects are part of the Socrates EU education programme and they are funded by the EU. Comenius is the Action of Socrates which targets school education. Comenius comprises three broad types of activity, all of which provide opportunities for schools and colleges looking to introduce or strengthen the European dimension in their curriculum. 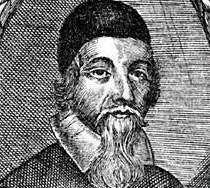 Born in what is today the Czech Republic, Joan Amos Comenius (1592-1670) was an educator who worked for peace and unity between nations. He was convinced that education was the only way to achieve full human potential. Comenius 1 – School Projects are joint, cross-curricular initiatives set up between at least three schools or colleges across at least three countries. They give pupils, students and staff the chance to work directly with those in other countries on topic of common interest. The projects last up to three years. Information and Communication Technology often plays a key role in the projects and can be and ideal means of developing and exchanging work and materials as well as maintaining the personal contacts of the collaboration. appreciation of the similarities and differences that exist across Europe. Within the Comenius Project transnational mobility activities are supported as well. Project meetings between staff and pupils from the different participating schools to discuss project planning, organisation, implementation, monitoring, evaluation etc. play an important role. These transnational mobility grants for pupils will normally enable some 2-4 pupils per school per year to participate in project meetings of School Projects. Comenius Project "Meeting differences and likes"
Together with the “Kärsämäen yläaste” in Kärsämäki, Finland and the “Bischöfliches Clara-Fey-Gymnasium” in Schleiden, Germany the GRg23vbs is working on the topic “Meeting differences and likes”. We will learn about history, historic background, culture and culture heritage. An understanding of the differences between Finland, Germany and Austria should be reached. The pupils will learn to communicate and cooperate with young people from other countries, the will get acquainted with the present problems in schools and life in the countries involved, get the basic knowledge of other European languages, they will understand the necessity of having a common language for communication but also a mother tongue to keep the traditions and the differences that are important.